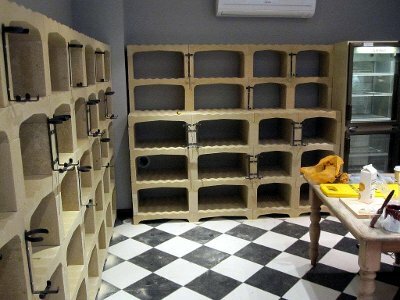 For those with limited space but a growing wine collection, or those who wish to update an existing cellar, The Stone Cellar Company manufactures simple, elegant and stylish concrete wine racks. Concrete is the ideal medium for wine storage; its mass helps to protect bottles from vibration and the natural ‘breathing’ nature of concrete helps to control humidity by absorbing moisture when humidity is high, releasing it again as humidity drops. 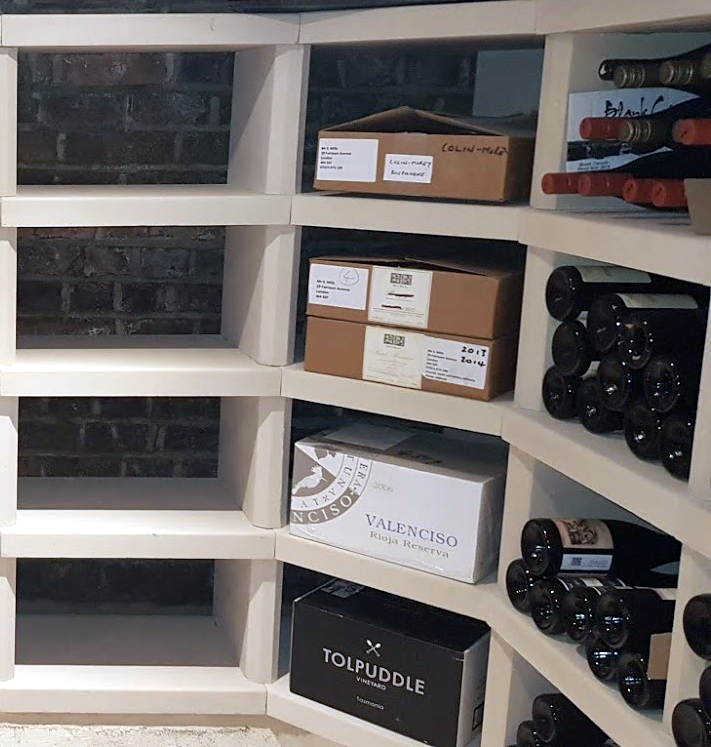 With a range of off-the-shelf standard components, in-house design and a full bespoke service if required, the Stone Cellar Company can provide optimum storage above or below ground to fit into almost any size or shape of room. Taken during installation of custom-made oak and brushed aluminium wine racking into a disused well. Racks designed and built in-house. NB all designs are the intellectual property of the stone cellar company.